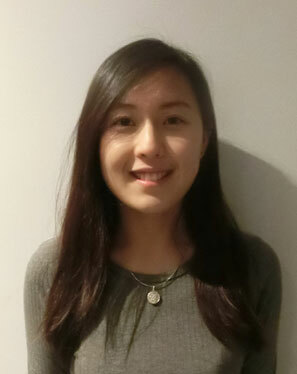 “I was first introduced to Occupational Therapy at a university open day in Hong Kong when I was still studying in year 11. Initially, I was drawn to the adaptive equipment and gadgets that the students designed for people with disabilities to perform daily activities. The more I found out about the profession, the more I fell in love with it. The best part about studying Occupational Therapy at Monash University was definitely the sense of community and the support I received throughout the course. The Professors were friendly and supportive of my learning. Fellow students in the course were also welcoming and approachable which encouraged me to fully immerse myself in my studies and embrace the Australian culture. I had the opportunity to go on various clinical placements, but enjoyed my final year placement at a hand therapy clinic the most as that’s where I discovered my area of interest. Hands-on work enabled me to learn that there is no fixed intervention to a condition or client and that every individual is unique. This experience has definitely challenged me to think more broadly and consider individuals’ needs. What captivated me most was that the little things an Occupational Therapist do, could make the biggest difference in a person’s life.